A city family moves out to the country, but their house is near a highway. Their young son wanders into the road and is killed, but fortunately there is magical/cursed plot of ground nearby from which buried creatures - and people - will come back to life. Pet Sematary was released on Cinema 13d ago in the US and the UK. 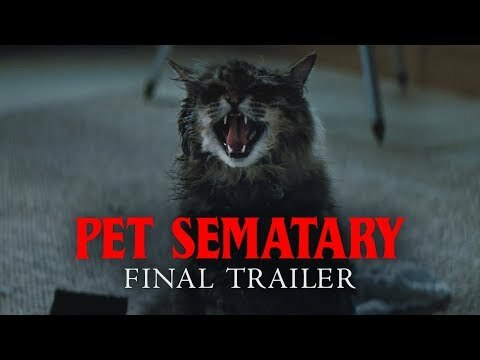 Based on 7 Pet Sematary Cinema reviews, Pet Sematary gets an average Cinema review score of 73. The score for all versions is 73 based on a total of 7 reviews. Pet Sematary is proficiently tense, dashingly macabre and soaked in nightmarish tones that thrive on audience screams. One of the most surprising elements about this update is the dark sense of humor bubbling underneath. Amy Seimetz and Jason Clarke star in Kevin Kolsch and Dennis Widmyer's adaptation of Stephen King's 1983 novel. With so many bad Stephen King adaptations out there, why did Kevin Kölsch and Dennis Widmyer decide to remake one of the genuinely scary ones?